The boundless wilderness and big game of East Africa has long attracted adventure seekers from all over the globe. No other African region can boast such an incredible range of landscapes, unique features and species. 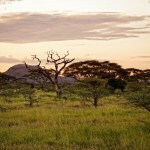 Africa VIP Travel has a reputation for excellence in Tanzania and East Africa. Our trips include lodge and tented wildlife safaris, bush treks/walking safaris, Mt. Kilimanjaro and Mt. 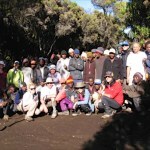 Meru climbs, community tourism projects and visits. We set our prices for good value for your satisfaction, and for a lifetime experience, as well as seeking adequate compensation for our staff. Africa VIP Travel is managed and directed by a native Tanzanian, Kambona Ole Tirra Mollel. He is a highly experienced naturalist with over 12 years of field experience, who is respected by his peers as a Tanzanian trip consultant. His wide knowledge of flora and fauna in Tanzania is a valuable bonus for visitors. We are proud of our dedicated team and its accumulated experience in Tanzania’s national parks, reserves, beaches and culture. All our safari and mountain guides have years of learning, including wildlife management studies in various schools and colleges. They also undergo regular training and retraining so that they will meet our clients’ expectations and our high safety requirements. Different from many other tour companies, our dedication is to show our visitors how hospitable Tanzanians are, as well as organizing safaris to our famous national parks and game reserves. Another specialty has been to give our clients more detailed explorations of our beautiful country by organizing mountain treks in several mountain regions of Tanzania, walking and cultural tours, bird watching, and mountain biking safaris, as well as cultural and relaxation visits to the coast and offshore islands of Zanzibar and Pemba. By conducting these exclusive adventures, we have given our visitors an opportunity to experience the real Tanzania, including the famous Maasai, Dattoga and Hadzabe/bushmen people. As a small company, we always aim in assuring ‘attention to detail’ for all of our visitors. While we keep our groups small and private, we can also accommodate groups with larger numbers. A good example is that we are now operating charity groups of up to 15 travelers at a time on the Kilimanjaro climbs, bush trekking and safaris. Our pricing varies from budget safaris to five-star luxury, be it in a lodge or camping. 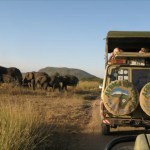 Tailor-made, honeymoon and family safaris are booked directly in our office in Tanzania. Our fleet of Land Cruiser and Land Rover vehicles are specially fitted to give enough room and convenience while you are on safari. While the majority of safari operators are equipped with 7-seaters, ours are fitted with 5 or 6 seats. We also own and manage one heavy-duty lorry for the luxury camping safaris and Kilimanjaro provisioning. Apart from fulfilling our main goal of providing a lifetime experience to our visitors, Africa VIP Travel has dedicated its time and resources to empower and benefit the local people involved in the areas where we operate. 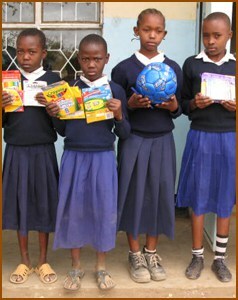 Through projects for the eradication of poverty, provision of clean water, support for schools, and help for AIDs orphans and families, we play our part in helping community projects. We also work with local villages and councils in developing our eco-friendly cultural tourism and we ensure that the local people and cultures are always respected. Furthermore, Africa VIP Travel provides employment for Tanzanians helping run our safaris, mountain climbs and treks/walking safaris. Our staff has a full commitment to the protection of nature and the environment in Tanzania. While in Tanzania with us, you will be supporting responsible and sustainable tourism that preserves an outstandingly beautiful country. Enjoy your Tanzania holidays with caring, knowledgeable people who give the personal touch, and by doing so you will empower the local community in return. You will never regret using our services. Should you require any additional information, please do not hesitate to contact us by phone or e-mail.